Almost three years ago the then newly elected Prime Minister Mr. Modi used the bully pulpit of his office to address a vital cog in India’s development. In his first Independence Day speech he openly mentioned how dirty India was and announced the Swachh Bharat (Clean India) campaign. Much credit goes to Mr. Modi for bringing public awareness to a very serious problem. A new tax to collect money for Swachh Bharat was also levied in 2015 and to this date more than Rs. 8,000 crores in revenue have been collected for the Clean India campaign. But sadly a comprehensive and modern waste management system still eludes most cities in India. With the initial fervor of Mr. Modi’s campaign petering out, there is now no urgency to develop the back-end infrastructure that this problem requires. It is not a novel problem –every other country has systems in place to deal with waste. So while there is a science to managing waste, it is not rocket science and the process and technology is well known and understood. Swachh Bharat seems to be following the same pattern as many other government initiatives. A lot of hype, high initial inertia, credit bagging, but no serious attempt to put the best minds to solve the problem. And, while the availability of financial resources is a concern, the bigger liability is the lack of expertise at the planning and implementation level. Most bureaucrats are generalists and fairly risk averse people. Their government jobs are secure, their personal capital is never on the line, so there is never a huge need to go out on the limb or think out of the box. The vast majority of them have no real business experience, and so decision making under uncertainty is not their forte. All government schemes are managed by these bureaucrats. As a result, it takes years to get a government project done. India is a vast consumer market, and while on a per capita basis Indians still produce about half the waste of their counterparts in Western countries, the sheer magnitude of waste is overwhelming the creaky and obsolete systems in most cities. Average waste production per capita has increased by almost 50% in the last decade. It is estimated that India’s 355 Class-1 cities (cities with a population of more than 1 lakh) currently produce about 210,000 tons of garbage a day. With rising incomes and increasing urbanization, this will increase to about 440,000 tons per day by 2025, a more than doubling of waste in a country that is so woefully lacking a technology-driven and sustainable solid waste system today. Most Indian cities lack even the most basic system for collecting, transporting, segregating, recycling and disposing their Municipal Solid Waste (MSW). Currently, only 60% of India’s waste is collected. This means that almost 84,000 tons per day, or a staggering 31 million tons per year, does not get properly collected, recycled, or disposed of. It finds its way on streets, in rivers, ponds, and open lots. And even much of what is collected is often dumped in overflowing landfill sites, open lots, or rivers and drains, with little regard for the environment. It is a very serious problem with profound health implications. In 1994 the city of Surat was hit by a bubonic plague epidemic that was largely the consequence of poor waste management practices. And from an environmental perspective, in less than 50 years, the country has managed to pollute its rivers to stagnant cesspools of garbage with little or no life form–undoing millions of years of nature’s bountiful work. The direct and indirect economic costs from poor waste management practices are also staggering. A 2013 Word Bank study estimates that over the next decade the health-related costs and the indirect opportunity costs from lost tourism and foreign investment will be a staggering $ 1 trillion. Every year the nation spends $ 80 billion or roughly 6.5% of its GDP on health care costs to treat diseases that stem from poor waste management practices. What is really disheartening is that fixing the waste management problem would cost one-fifth of that amount. These issues need to be addressed urgently; otherwise, they will inevitably threaten India’s economic growth. If India wants to be taken seriously as a major economic player, it has to devote substantial efforts to modernizing its waste management systems and to cleaning up its filth. Mother India has been defaced over the last 50 years, and it’s time to take a serious stock of the situation. Municipal Solid Waste Management (MSW) is a system. It is no different than, say, the braking system in a car. A system is the sum of its parts, and its success depends on all parts working together in synergy. If any part of this integrated system is weak, it affects the entire system. In India, every component of the MSW system has glaring weaknesses resulting in the sum being worse than the parts. Poor collection practices affect segregation; poor disposal practices affect collection; inefficient segregation affects recycling; inadequate transportation affects collection and disposal, poor recycling affects disposal and so on. The biggest problem in India is that the responsibility for MSW management lies with the local Municipalities. 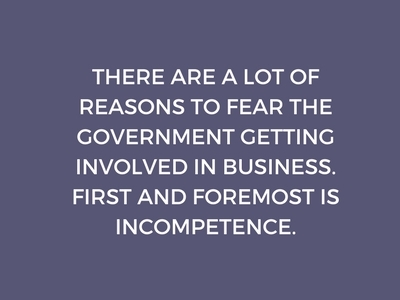 They are notoriously incompetent, corrupt, and run by politicians who care only about getting reelected and making money. As is typical of most governmental bodies, local municipalities don’t have the domain expertise required to manage modern technology-driven waste management systems. They apply piecemeal fixes to different parts of the system. These efforts are ineffective and a tremendous waste of money. Municipalities in India have spent thousands of crores of taxpayer money over the years, yet they keep repeating the same mistakes year after year. The best MSW systems in the world are all managed by private companies with the Municipal bodies acting only as enforcers, focusing on enforcing anti-littering laws, creating public awareness against littering and polluting and levying user/polluter charges. The only solution to modernizing India’s waste management practices is to allow the private sector to be the provider, leaving the municipalities to act primarily as enforcers. Private companies bring technical expertise, new technologies, modern operating practices, trained manpower, efficiency and cost controls. The few Indian cities that have handed over their MSW management to private companies have seen cost savings range from 40% to 70%. Successful MSW systems have very high (almost 100%) collection of waste at the source with minimal unloading and reloading of garbage in its transportation to final recycling and disposal. Achieving this objective requires the use of highly efficient and automated equipment capable of handling large quantities of waste with minimal manual intervention. Garbage in most Indian cities is still collected using manually-powered tricycles, and hand-pulled carts. This limits the amount of waste that can be handled ( maximum 30-40 Kgs) and the distance it can be transported (1-2 km at most). To accommodate for this inefficient collection system, most cities are forced to keep a community dumpster in the neighborhood in which the garbage collector dumps the waste. The waste lies there, in the open, till it is eventually picked by a municipal truck. Now think about how this grossly inefficient collection process adds to the garbage problem. The use of an open non-mechanized vehicle results in much of the waste being either uncollected or finding itself on the street or dumped randomly in open lots. Secondly, the neighborhood dumpsters become a major source of waste pollution. They are a collection point for rag pickers, stray animals, rodents, snakes, and a breeding ground for mosquitoes. These community bins would be entirely redundant and unnecessary if the initial collection of waste is done using mechanized equipment capable of handling large volumes of waste and transporting it away from populated areas. All modern MSW systems use mechanized vehicles to collect the waste and to transport the collected waste to either a waste treatment plant or to a transfer station, where the waste is moved to a bigger vehicle before being taken to the waste management facility. There is no need for the waste to be dumped into bins in same neighborhood from where the garbage was collected in the first place. India produces almost 80 million tons of garbage every year. This amount of waste cannot be handled by non-mechanized systems. It is high time that the government got out of the waste management business and brought private companies into the fray. A competitive environment in which private companies compete for the collection business will ensure a modern and efficient collection and transportation system. A vital part of an efficient waste management system is waste segregation and processing. Waste CANNOT be reused or recycled unless it is first segregated. A typical waste stream in India contains about 50% organic material (food, garden waste, restaurant waste), and the rest is paper, plastics, cloth, glass, metals, etc. The segregation of this waste into different streams is crucial and must be done at a waste segregation facility. Some nations have tried segregation at source, and some have even done it successfully, but most countries prefer to segregate waste using highly automated plants. It is far more efficient and produces better quality and more valuable recyclables. The United States has over 15,000 waste processing and segregation plants. India has less than 15. Even a small country like Denmark with a population of about 5 million –less than most Indian towns– has more than 40 waste processing plants. So while Mr. Modi’s desire to put Swachh Bharat firm and center in every Indian mind is to be applauded, the inability of his administration to understand the need to build the back-end infrastructure, is a great disappointment. Waste will not just disappear since matter cannot be destroyed. It has to be treated and then preferably reused, and that requires proper technology. So if the government insists on doing everything itself, then it must invest in the back-end infrastructure and set up segregation and recycling plants in all cities. There is no other easy and cheap way and trying to find an ‘Indian’ solution to the waste management problem will make things worse. It is my understanding that the Indian government is going to try source segregation by providing every household with colored garbage cans. All I can say is Good luck. It is a guaranteed waste of money and will never work in India. Going from a situation where most households and commercial buildings don’t even have garbage bins to asking people to have the discipline to segregate waste into separate waste bins is well nigh impossible. Plus with modern technology able to efficiently segregate, process and bale the recyclables it is also completely unnecessary. I wonder whether the government got any expert advice on source segregation or conducted research to see if it would work in India? I hate to see taxpayer money wasted on an experiment especially in a country with better alternative uses for that capital. Reduction, reuse, recycling, sorting, segregation, and processing are major steps of an integrated waste management system. In India much of the recycling is still carried out manually, using an informal network of rag pickers and middlemen. Everyone recognizes the inefficient nature of this practice and the urgent need to modernize and automate it. A modern materials recycling facility (MRF) using sophisticated technologies like lasers, optical sorting, mechanical-biological segregation, eddy currents, etc. can segregate waste quickly and efficiently, and, package the separated components for recycling. There is a large secondary market for the glass, paper, plastic, aluminum cans, metals that support the MRF industry. A decent size MFR which treats about 200 tons per day, will pay for itself in about six years and there is plenty of private money willing to invest in these technologies. But they will only do so if they are assured that the government does not interfere and add additional risk to their investments. The most significant reuse comes from the organic component of the waste. The organic fraction of waste contains carbon (which is energy) and can be converted into methane-rich biogas which can be scrubbed and converted into cooking gas or even biofuel for trucks and buses. Indian solid waste is rich in the organic component–a typical Indian household waste has about 50% organic material. Almost 100,000 tons of this untreated organic waste is dumped daily in open landfills and allowed to rot. Over time this generates a deadly leachate which becomes a major health hazard and a significant source of ground water contamination. With the right technology, this organic waste can be converted into a cheap source of cooking fuel for about 12 million families. Imagine this: What is currently a liability can be converted into an asset, a win-win for all stakeholders. The goal of all MSW systems is to maximize the reuse and recycling of waste and to minimize the amount that needs to be landfilled. Countries like Sweden and Norway are close to achieving 100% recycling of waste. Contrast this with India where less than 20% of the waste is reused or recycled. Some of the remaining 80% gets landfilled, but much of it gets thrown in empty lots, rivers, ponds, etc. This is inexcusable and unsustainable. MSW in developed countries is disposed of in sanitary landfills that ‘engineered’ with the twin goals of environmental and health safety. Engineered landfills have a geothermal lining to keep the leachate from polluting underground water, a treatment system for the leachate, a piping system to collect and burn off the methane that accumulates from the decomposition of organic material, and daily landfill cover to minimize smell and airborne vector diseases. India has only five ‘engineered’ landfills. In comparison, the US has almost 4,000 engineered landfills with leachate control and methane exhaustion. Most landfills in India start out as a hole in the ground, and over time as garbage keeps piling up, they become large mountains of waste. The Okhla landfill in Delhi is an example of such a landfill. It is a gigantic mountain of unsightly waste, produces terrible odor and is the primary source of vector diseases in the surrounding communities. But what is most concerning is the amount of deadly and inflammable methane gas that lies buried underneath it. A study of the Okhla landfill by the US Environmental Protection Agency in 2011 found dangerous levels of lethal methane buildup that could create a catastrophe if ever ignited by a rupture ( from an earthquake, for example) or a large fire. The study also found that if properly harvested this same methane could be converted into enough CNG to run the city bus service for two years. These recommendations, unfortunately, still lie in a dusty file on a bureaucrats table somewhere. So while the Prime Minister deserves all the accolades for bringing public awareness to India’s waste management problem, he must now step up to the plate and do the right thing to make Swachh Bharat a reality. In the next part, I provide sustainable solutions for India’s MSW problems and discuss how India can develop a robust waste management industry that can clean up India in less than a year and provide tens of thousands of skilled jobs.